To view your home page, click on Home, or click on your Login Name, then select My Profile. View all of the teachers you are following or who are following you on the left side of the page. See any activity from the teachers you are following, such changes to assessments and curriculum maps, and any other updates in the main center feed. 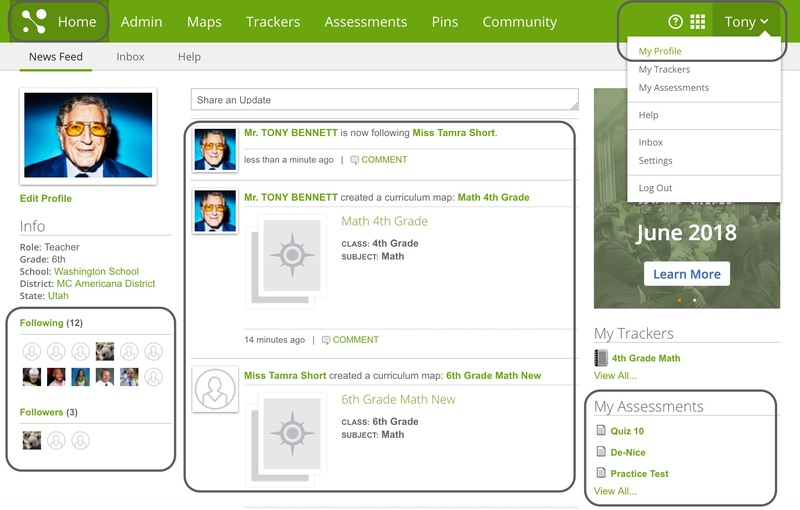 Easily get to your list of trackers or assessments on the right side of the page under your name.